Democratic Rep. Rashida Tlaib wrote a column for Nation of Islam publication Final Call in 2006. Tlaib has already faced scrutiny over other ties to anti-Semitism. Final Call describes itself as “the official communications organ of the Nation of Islam” and was founded by the group’s leader, Farrakhan, according to Final Call’s website. Farrakhan’s history of unapologetic anti-Semitism including describing Jews as “satanic” and praising Hitler as a “very great man,” was well established by 2006. Final Call has published a steady stream of articles defending Farrakhan from charges of anti-Semitism. “The piece was from 2006 and was not an endorsement of Farrakhan or anyone for that matter,” a Tlaib spokesperson told Business Insider. “The Congresswoman has not had any direct contact with Farrakhan and condemns his anti-Semitic and anti-LGBTQ views,” the spokesperson said. Conservative writer Jeryl Bier on Monday first noted Tlaib’s Final Call op-ed. Tlaib has already come under fire for her ties to other anti-Israel radicals, as well as her support for the anti-Israel Boycott Divest Sanction (BDS) movement, which has often overlapped with anti-Semitic causes. A key fundraiser for Tlaib’s 2018 congressional campaign, Abdel-qader Maher, repeatedly promoted anti-Semitic conspiracy theories on Facebook, both on his own page and within a Facebook group that includes Tlaib. 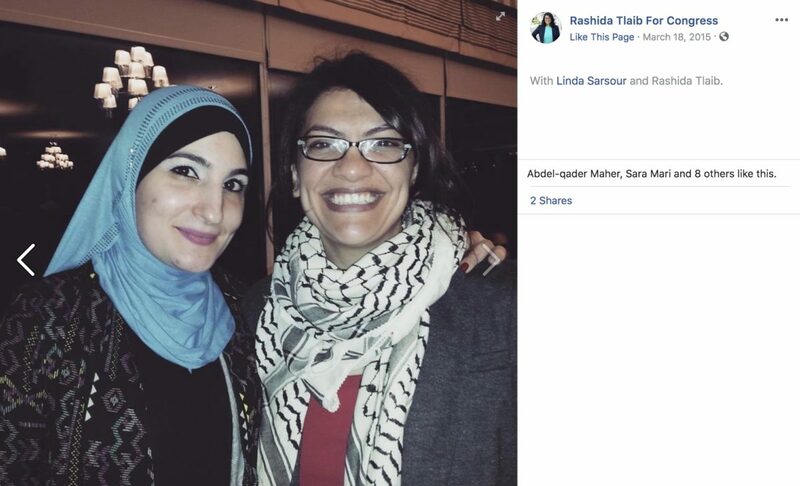 Tlaib also came under fire after posing for a picture with Palestinian activist Abbas Hamideh, a supporter of Hezbollah who believes Israel shouldn’t exist, at her swearing-in ceremony. 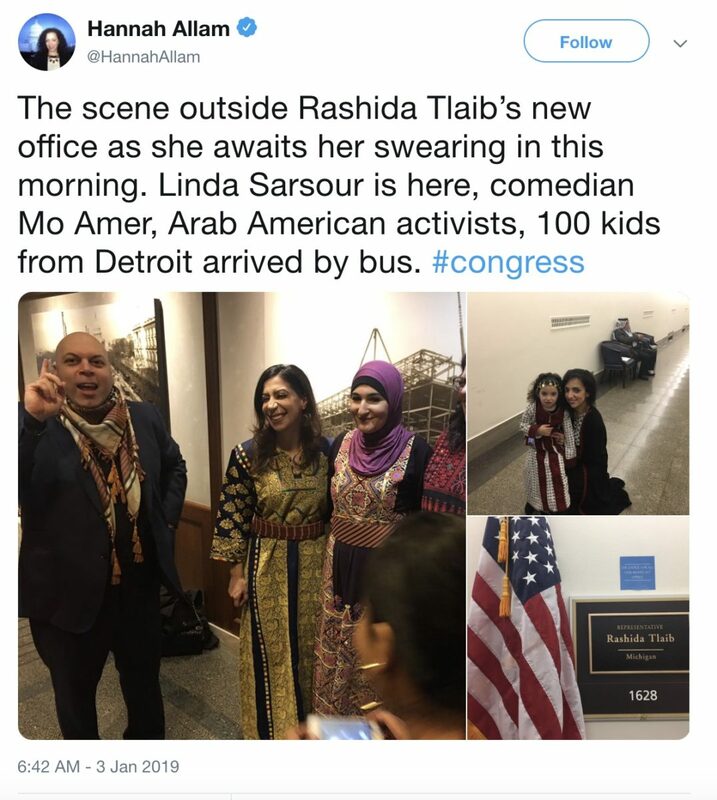 Women’s March co-chair Linda Sarsour was an early supporter of Tlaib, who has continued to support Sarsour’s organization, despite its own anti-Semitism issues. 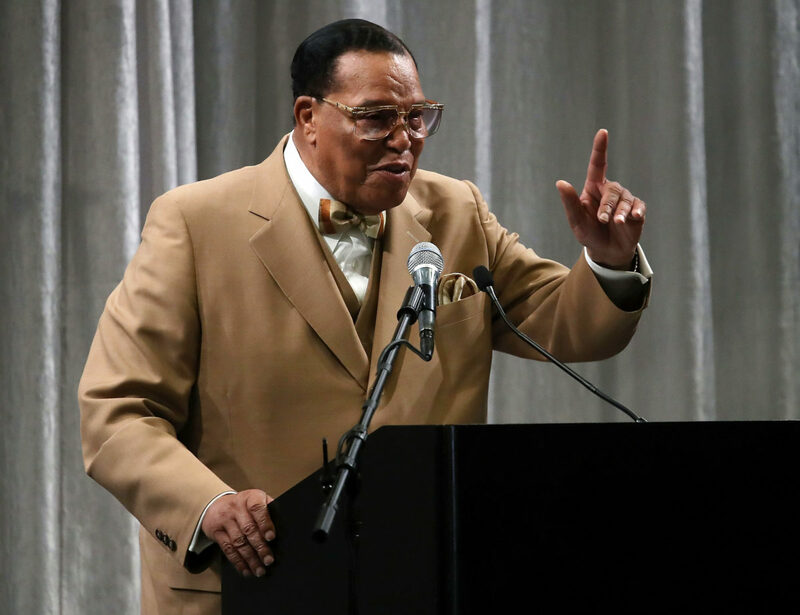 Sarsour and another co-chair, Tamika Mallory, have faced scrutiny over their support of Farrakhan and the Nation of Islam. Sarsour was unapologetic about the Farrakhan controversy less than two weeks ago, in a taped podcast with left-wing media outlet Democracy Now.